Boasts 36 Highway MPG and 27 City MPG! This Chevrolet Malibu delivers a Turbocharged Gas I4 1.5L/91 engine powering this Automatic transmission. WIRELESS CHARGING FOR DEVICES, WHEELS, 17" (43.2 CM) ALUMINUM (STD), TRANSMISSION, 6-SPEED AUTOMATIC (STD). 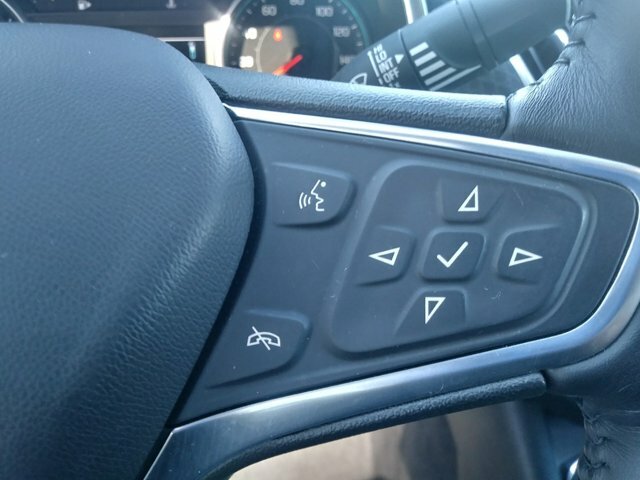 * This Chevrolet Malibu Features the Following Options *CONVENIENCE AND TECHNOLOGY PACKAGE includes (BTV) remote vehicle starter system, (DD8) inside rearview auto-dimming mirror, (KI6) 120-volt power outlet, (UDD) color Driver information Center, (IO5) Chevrolet MyLink Radio, (K4C) Wireless Charging, (USS) dual USB charging-only ports in rear of center console, (N34) leather-wrapped steering wheel and (VY7) leather-wrapped shift knob Also includes (PZX) 18" aluminum wheels and (R0X) 245/45R18 all-season, blackwall tires.) , TIRES, P225/55R17 ALL-SEASON, BLACKWALL, STEERING WHEEL, LEATHER-WRAPPED 3-SPOKE, SHIFT KNOB, LEATHER-WRAPPED, SEATS, FRONT BUCKET (STD), REMOTE VEHICLE STARTER SYSTEM, POWER OUTLET, 120-VOLT located on the rear of center console, MIRROR, INSIDE REARVIEW AUTO-DIMMING, LT PREFERRED EQUIPMENT GROUP includes Standard Equipment, JET BLACK, PREMIUM CLOTH SEAT TRIM. * Visit Us Today *A short visit to Bleecker Chevrolet located at 1200 E Cumberland St, Dunn, NC 28334 can get you a dependable Malibu today!